​Serenity has linked up with Citibank which can grant personal loans with no collaterals to finance treatment needs. The Treatment milieu is now in the mountains of Baguio. 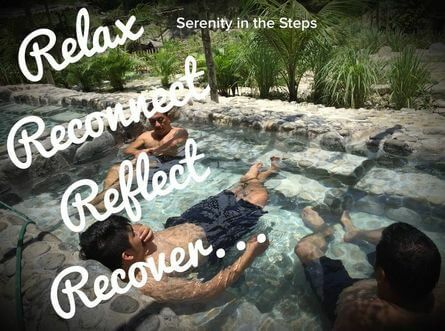 The Resort City has a leisurely life pace and an atmosphere nurturing to recovery. The client is not so exposed to city life stress nor consigned to the boondocks but can enjoy the advantages of Baguio's attractions like the cool climate, and nature while staying close to cosmopolitan living. 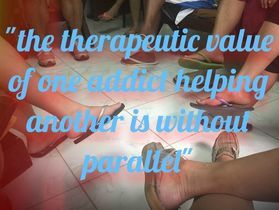 The client is able to experience natural serenity amidst the daily stress of living without the need to cope by using drugs or alcohol. For those who are court ordered, R.A.9165 or the Philippine Drug Law mandates a minimum of 6 months confinement to 1 year with an aftercare program. OUR PROGRAMS are dynamic and include counselor led meeting tours to Manila and Angeles city. Optional trips to other tourist spots like Boracay, Sagada, Pagudpud, Cebu, Puerto Gallera, Pagudpud, Hundred Islands, Palawan can be arranged and factored into the client's program. Random Drug Screens are performed during these trips to insure compliance with the abstinence requirements. Therapeutic Agreements are entered into as further deterrents to alcohol/drug use.